Bernice E. Jackels, age 91, of Darboy, passed away surrounded by her loving family on Thursday, August 23, 2018, at the St. Paul Home. She was born on September 28, 1926, daughter of the late Robert and Eva (Balthazor) Seif. Bernice was a wonderful cook and baker. She enjoyed fishing and volunteering at St. Vincent DePaul in Kaukauna. Many wonderful memories were made up at the cottage with family and friends. Bernice was always up for a trip to the casino or a good card game. Time spent with her family was the most important to her. Bernice is survived by her children: Linda (Florian) Van Handel, Bob (Lee Ann) Jackels, Mary Kay Lester, Joe (Lisa Sturgis) Jackels, Pam (Gerald) Sturm and Tony (Beth) Jackels; a daughter-in-law, Karen Jackels; grandchildren: Michele (Steve), Rob (Sandy), Rob (Shellee), Adam, Erica (Georgel), Jon (Sally), Mike (Katie), Gina (James), Troy (Kimberly), Tonia (Buzz), Craig (Brian), Joey (Joanna), Hannah (Daniel), Nikole (Tom), Nick (Courtney), Josh (Alyssa), Tyler (Chelsey), Shannon (Derek), and Kristin (Jon); 35 special great grandchildren; a sister-in-law, Sister M. Cyrilla; numerous nieces, nephews, cousins and many A.A. friends. 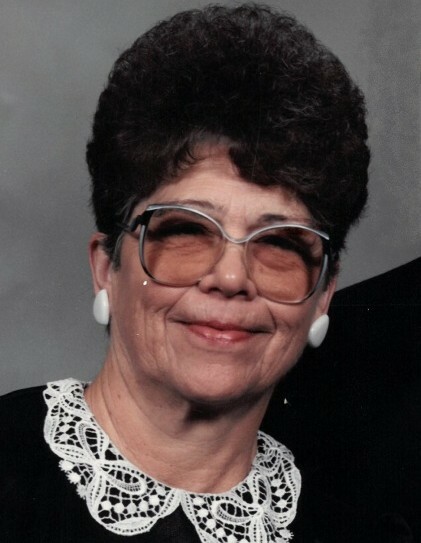 Bernice was preceded in death by her husband, Louis M. Jackels; a son, Bill Jackels; granddaughters, Tracy Van Handel; son-in-law, Dan Lester; a longtime friend, Betty Jansen; and many members of Louis’ family. Funeral services will be held at 11:00 a.m. on Monday, August 27, 2018, at St. Paul Catholic Church, 410 Wallace Street, Combined Locks, with Fr. Andy Kysely officiating. Visitation will be at the church on Monday from 9:00 a.m. until the time of the Mass. Interment will be in St. Mary Cemetery, Kaukauna. For online condolences, please visit www.verkuilenfh.com. The Jackels family would like to extend a special thank you to the entire staff of the St. Paul Home and St. Paul Hospice for all of the wonderful care and compassion.